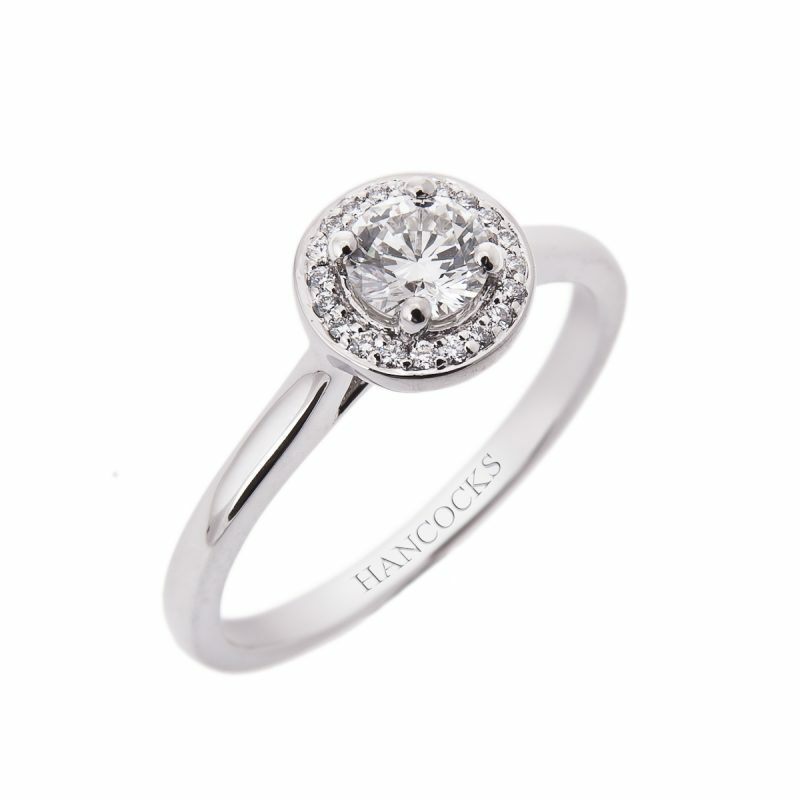 A certificated 0.50ct brilliant cut diamond mounted in a claw setting and bordered by halo of brilliant cut diamonds, totalling 0.25ct that follow the contours of the central stone and accentuating this wonderful shape. 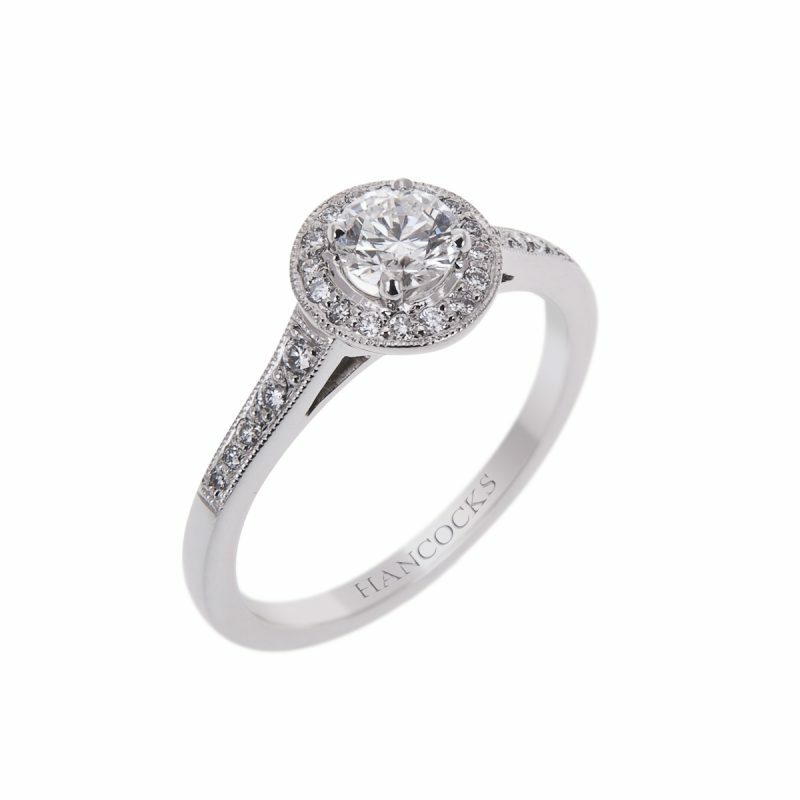 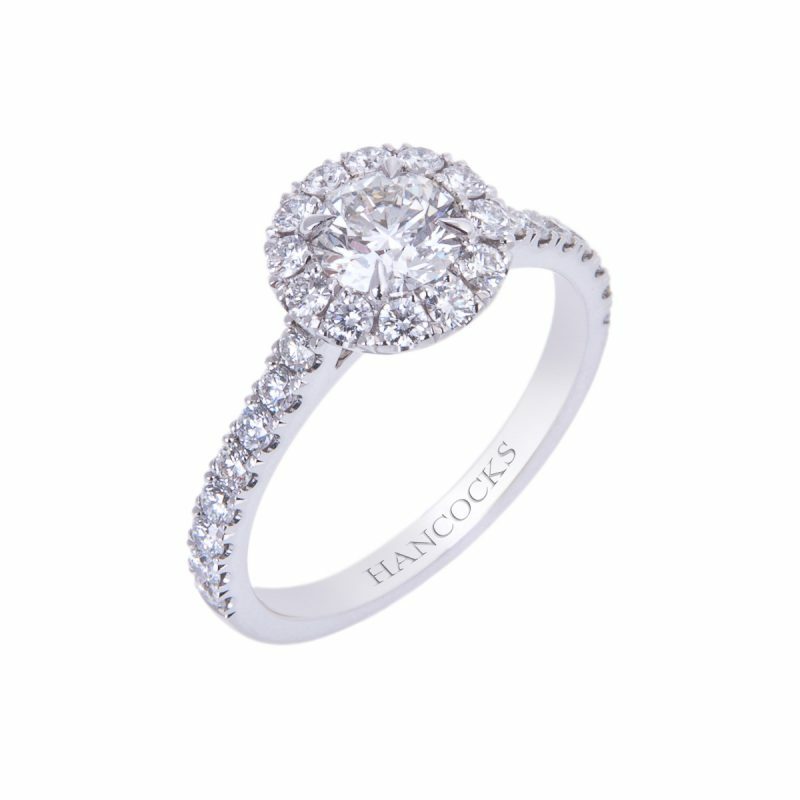 Inspired by fine lace, this exquisite diamond engagement ring epitomises romance. 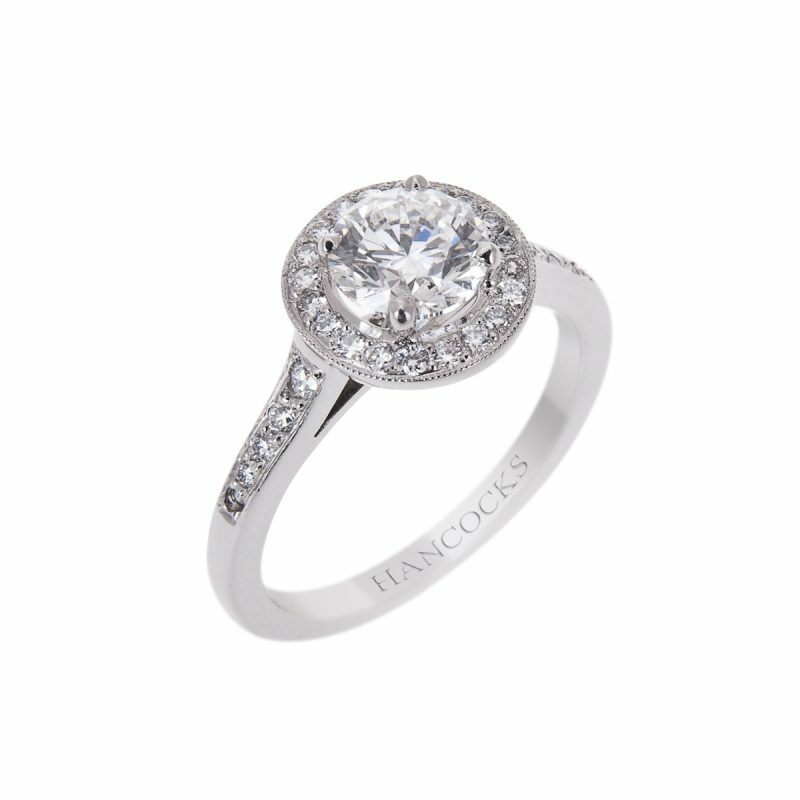 This jewel sparkles as its owner dreams of her Mr Darcy.